Unique Experiences In Bangalore You Should Sign Up For, Right Now! For many, Bangalore might only seem as the tech capital of the country, but when it comes to experiences it offers, there’s so much more than what meets the eye. And this time around, we are putting together a list of unique experiences, that are true #bucketlistgoals. How many have you experienced so far? Love chocolates? That was rhetoric. Of course you do. So, sign-up for a Belgian chocolate tour where you can learn to temper chocolates, create your personal truffles, get working knowledge of a boutique chocolaterie, learn the history and evolution of chocolate, all the while tasting a selection of gooey awesomeness on the way. Interesting, right? #LBBTip: Book your tour from jetprivilege.com at INR 2,100 and earn 240 JPMiles per person. Gather your buddies and head to the Zion hills for a weekend of golfing and some friendly competition. Best part? You can tee off straight from your living room. The 18-hole golf course was designed by the legendary Ronald Fream, and is beset with greenery, boulders, water bodies and sand traps that promises to attract both beginners and experts. #LBBTip: Book your session from jetprivilege.com at INR 2,100 and earn 225 JPMiles per person. For all you wine lovers, Soma Vineyard offers an exclusive tour of their facility where you learn about different varieties of grapes, partake in wine tasting, and enjoy a BBQ meal set against a breathtaking landscape. 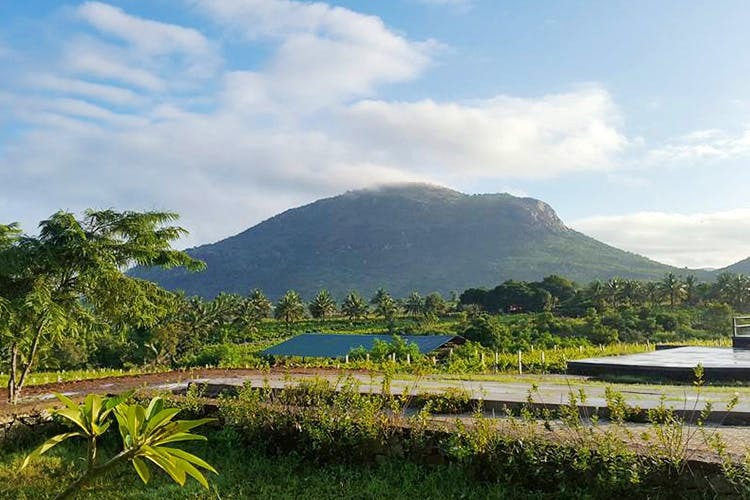 Just 50 kms from Bangalore, if you are planning a weekend getaway, don’t look any further. #LBBTip: Book your tour from jetprivilege.com at INR 3,000 per person and earn 360 JPMiles. We have all dreamt of flying an aircraft or have wondered, at least, what happens inside the cockpit of a jet. Well, now you can stop dreaming and actually learn to fly the Boeing 737, at Flight For Fantasy at Kormangala’s Forum Mall. You can choose from over 20,000 airports from all over the world to take-off and land, fly in different weather conditions, all under the guidance of trained instructors. #LBBTip: Book your session from jetprivilege.com starting at INR 1,100 and earn 185 JPMiles per person. Cooking for someone you love is a very intimate act and perhaps the best way to make your SO fall in love with you. Head to Slurp studio in Indiranagar, get your apron on and get cooking. The session is followed by a 4-course meal with your bae. #LBBTip: Book your sessions at INR 4,600 from jetprivilege.com for a couple and earn 465 JPMiles.